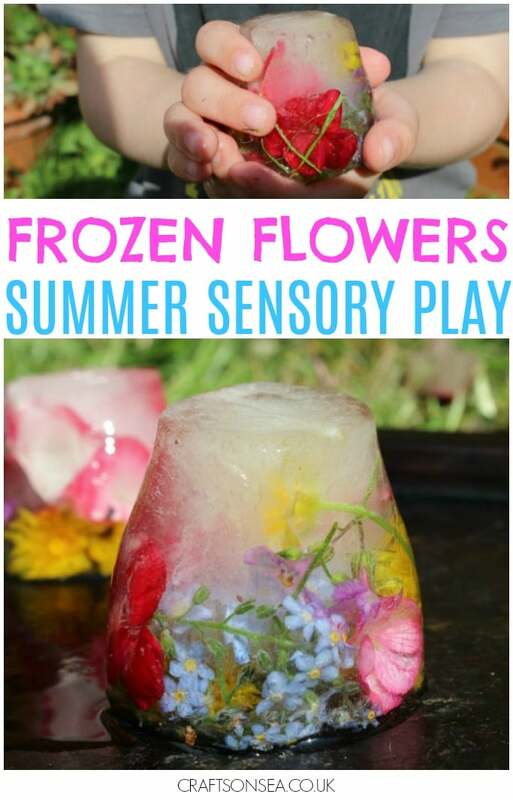 Even though I only posted a round up of sensory play ideas with flowers a week or so ago it seems we can’t seem to stop at the moment and this weeks idea is this fun frozen flowers sensory ice play – perfect for playing outside in the garden! We love activities for toddlers but this is great fun for older kids too and both my kids had great fun with it. 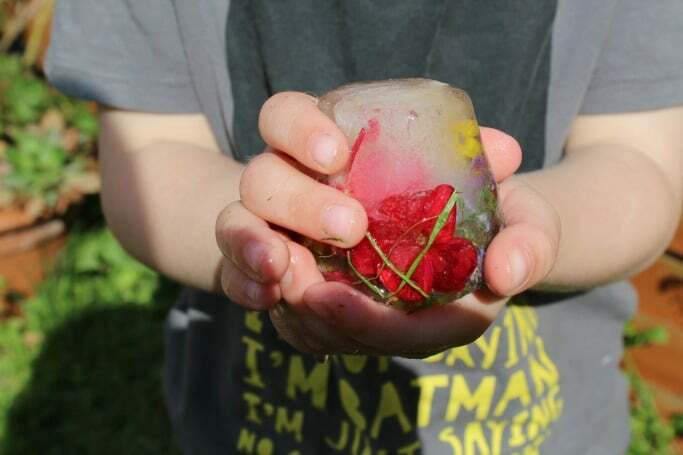 We’ve experimented before at freezing ‘treasures’ in ice like our beloved Batman science experiment and this one from a trip scavenging in the woods but I made a few little changes to this to make it better suited to my kids. 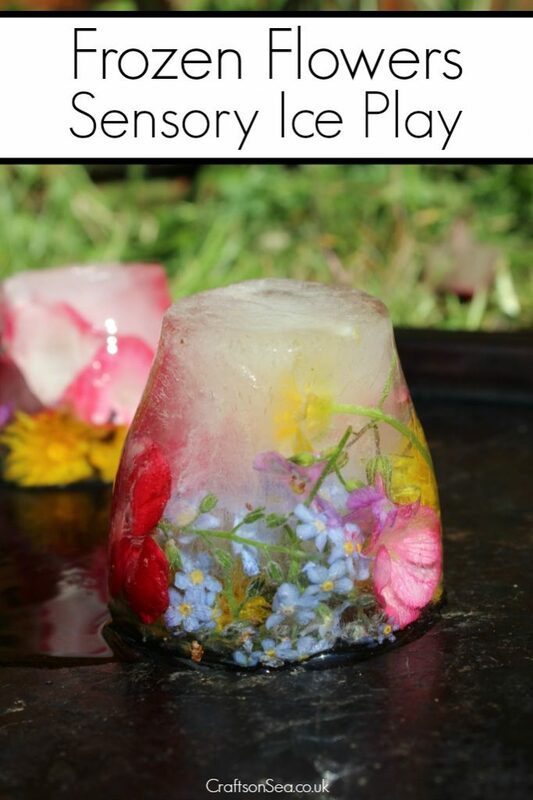 Unlike our ice play before where I’ve used large soup containers to freeze things for this I chose to use small kids snack pots like these instead? Why? Well the big pots are great for when your kids want to sit down and really study what they are doing, but sometimes my kids just want something quick to play with that’s not going to take them an hour, this is especially the case after school when they’re both a bit tired and all their attention for the day is done. So this is great fun but they don’t have to spend forever to get results. I also knew that rather than one big thing to work on together they’d prefer having one of their own each because that’s just the way they are at the moment. Also, and this is an important for most families, there’s only so much room I have in my freezer that could be filled up with ice creams or something important instead. To make your frozen flowers put some cut flowers (wildflowers are obviously fine!) in your pot and then add water. Flowers tend to float so add quite a few or you’ll end up with them all at the bottom. Not a major issue but it’s not quite as pretty! Want to check how we made it? This little video shows you! 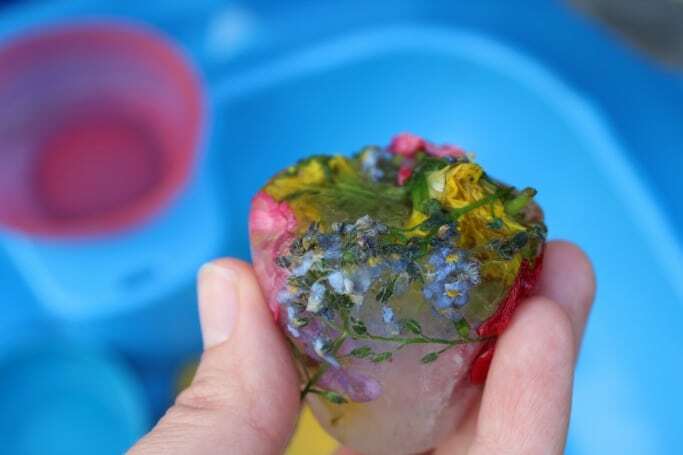 Pop them in your freezer for a day and then they’re ready to play with – just pop the plastic under a hot tap to thaw it enough to pop your flowers out. 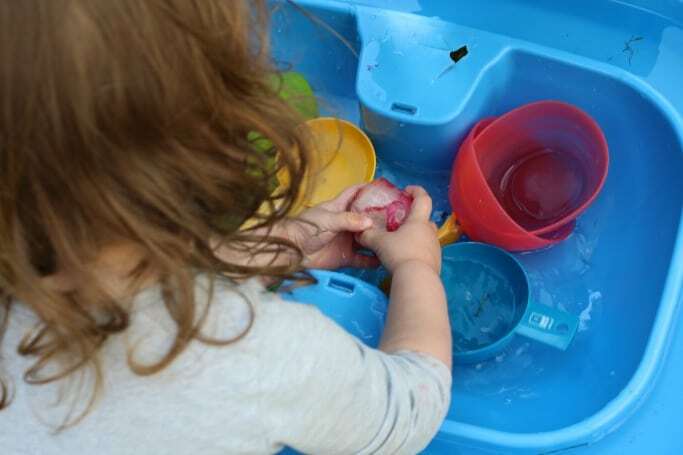 We played with ours in our water table with the kids both trying their best to thaw the ice to get the flowers out!